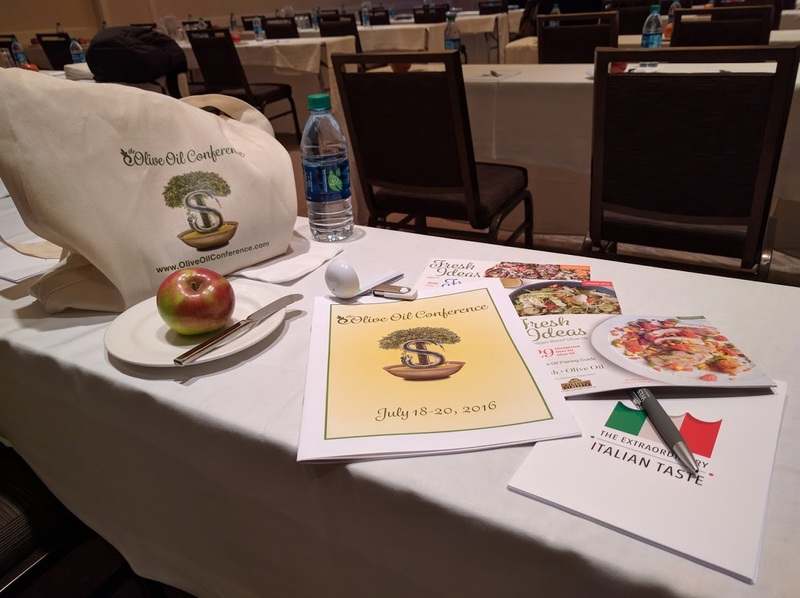 We had a great time kicking off the olive oil conference yesterday in Rosemont, IL. Attendees including olive oil importers, producers, retailers, press and enthusiasts were treated to a tasting of 5 award winning extra virgin olive oils. The tasting was led by Simon Field, founder of Savantes. All attendees expanded their knowledge of olive oil and appreciated tasting the range of excellent extra virgin olive oils. A tasting led by 2015 North American Extra Virgin Olive Oil Taster's Champion, Hayley Stevens. Patty Lamberti, Director of Graduate Program in Digital Media and Storytelling at Loyola University Chicago's School of Communication, will speak about using New Media to promote consumption of olive oil. Chef Suvir Saran will be leading a cooking demonstration geared towards increasing the use of olive oil in both restaurants and at home. Breakout sessions will focus on how to increase per capita consumption of olive oil.